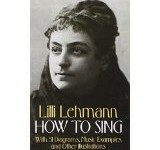 This engaging and long influential collection of essays looks at the art of singing in its totality. Written in a lively, non-technical style, On the Art of Singing is a comprehensive manual that deals with all aspects of singing, from the physiology and acoustics of the singing voice to career-building. Divided into four main sections — vocal technique, style and interpretation, professional preparation, and vocal pedagogy – the book’s structure is such that the reader may pick and choose as personal interests and needs dictate. 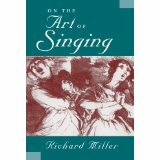 Containing essential information for all singers, including original research on the mechanics of the voice, this book collects in one volume everything that renowned instructor and singer Richard Miller considers essential to the art of vocal performance. To anyone seeking that elusive state of vocal freedom, whether as a singer or instructor of singers, and to anyone else interested in voice, vocal technique or vocal performance, On the Art of Singing will prove an indispensible guide. 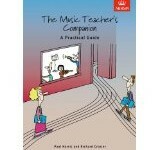 Readership: This book is meant for voice instructors and students. This book will also be of use to professional voice teachers, vocal coaches, choral conductors, and others who work with singers, in academic, freelance, or professional settings. It is also a valuable reference for freelance singers.